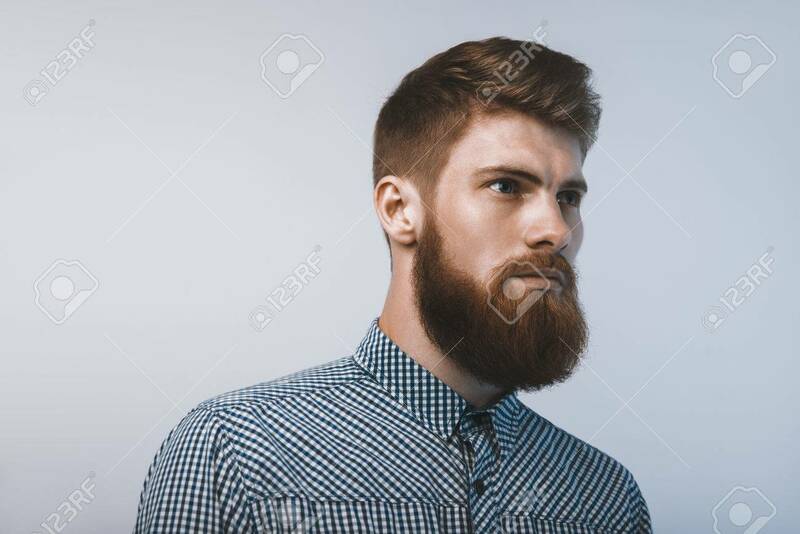 Bearded Man Confidently Looking Forward. Studio Shot On White.. Stock Photo, Picture And Royalty Free Image. Image 43765751.